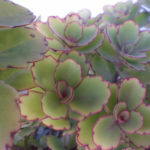 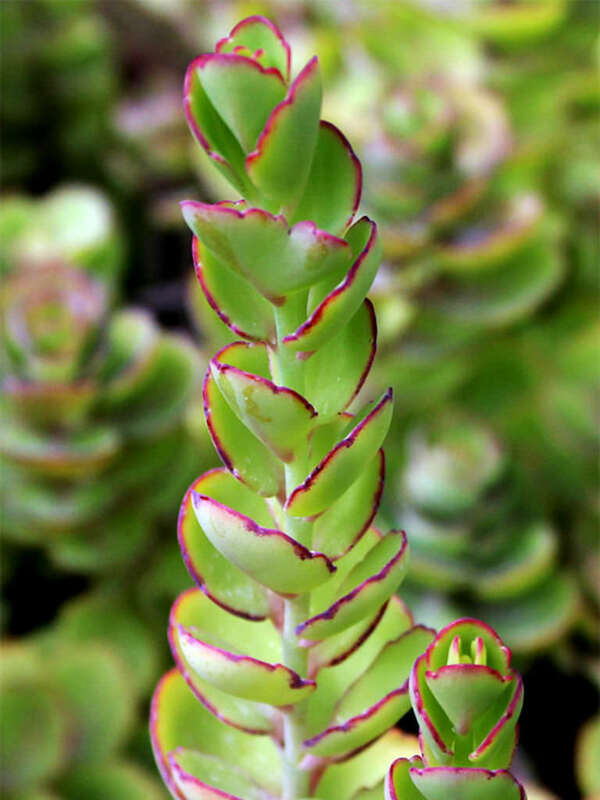 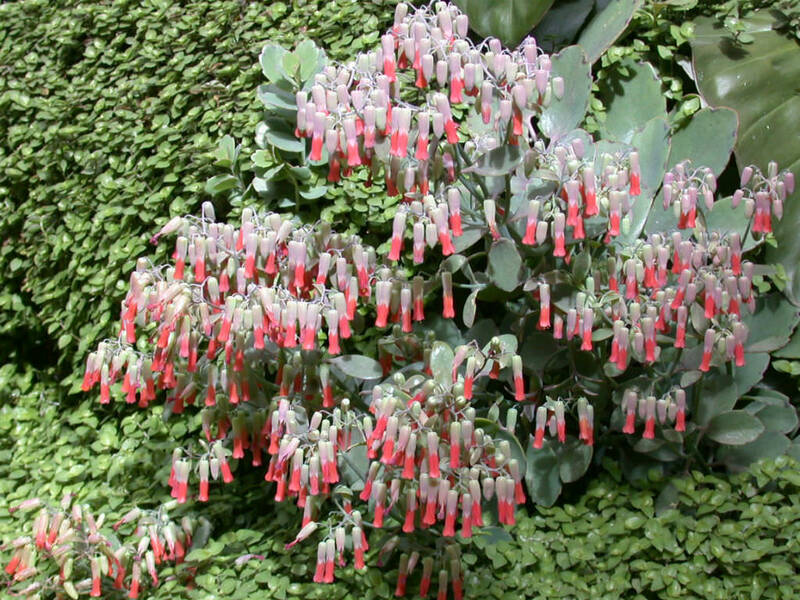 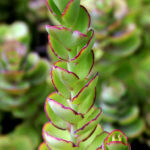 Kalanchoe laxiflora is a succulent subshrub up to 20 inches (50 cm) tall. 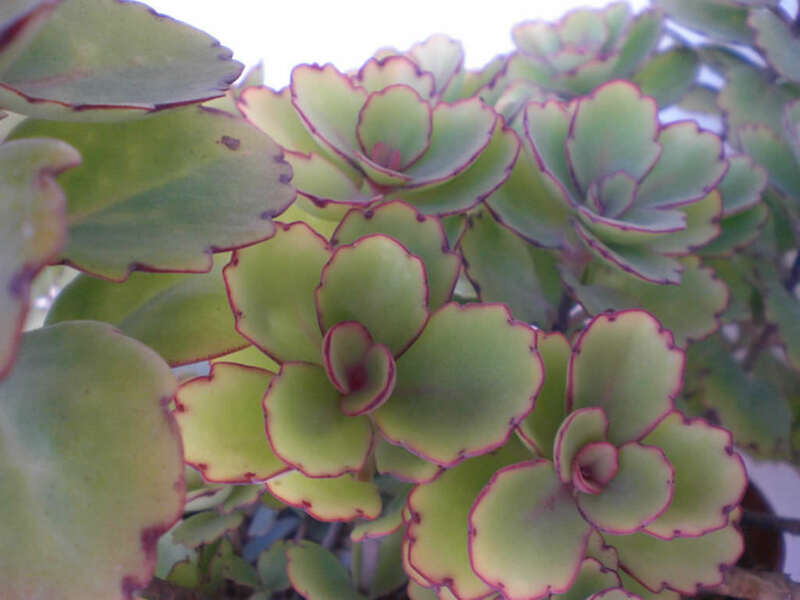 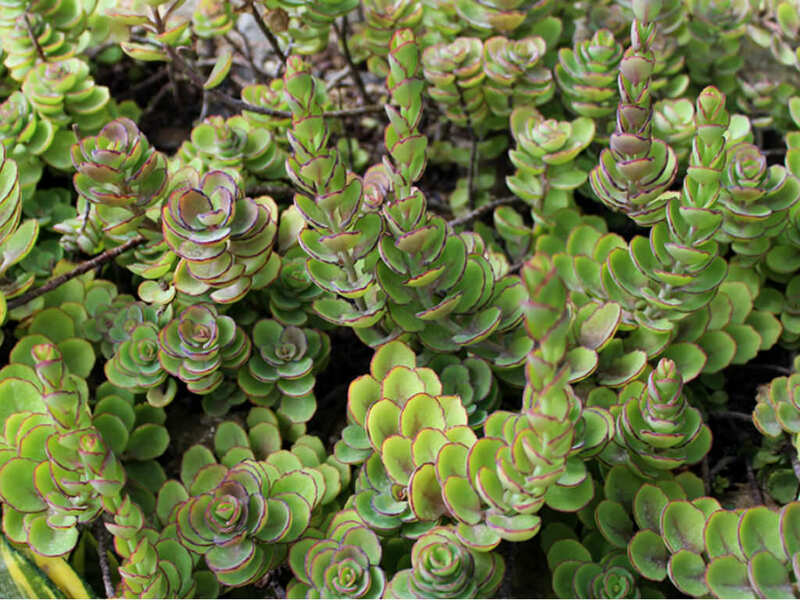 The leaves are elliptically-shaped, gray or green, often tinged red, particularly along the margins with older leaves often a red-violet color. 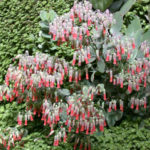 The inflorescence rises up to 1 foot (30 cm) or more above the plant bearing orange, bell-shaped flowers.